Thank you for submitting your item for appraisal. This appears to be a dutch tin tea or coffee box issued by Niemeijer koffie - thee. Koninklijke Niemeijer was a Dutch family business trading in colonial merchandise such as tea, coffee and tobacco. The company was founded in 1819 and closed its doors in the second half of the 20th century. 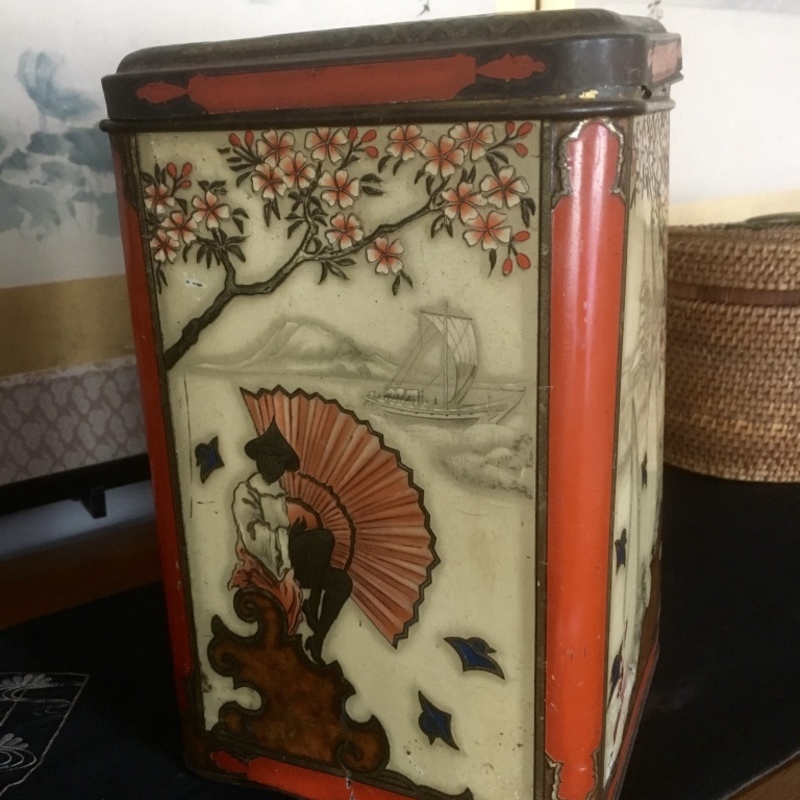 The tin box in your possession was most likely made around 1920, combining japonism influences, a chinese seal script character "shou" for long life at the top and european design. The estimate is based on similar items sold at auction. There is no measurement for the sentimental value you might attach to it. The insurance appraisal for this item is $120. "le couronement de la marie"